Xiphos is a Bible study software for GNOME, a graphical desktop environment which is available for Linux and UNIX. gVerse is a software that displays a daily Bible verse. It can display the verse in a GTK+ window, or on the command line. ExpoSong is a free presentation software for Linux to assist with worship assemblies. Create lyrics or plain-text slides, create schedules, and put up slides. 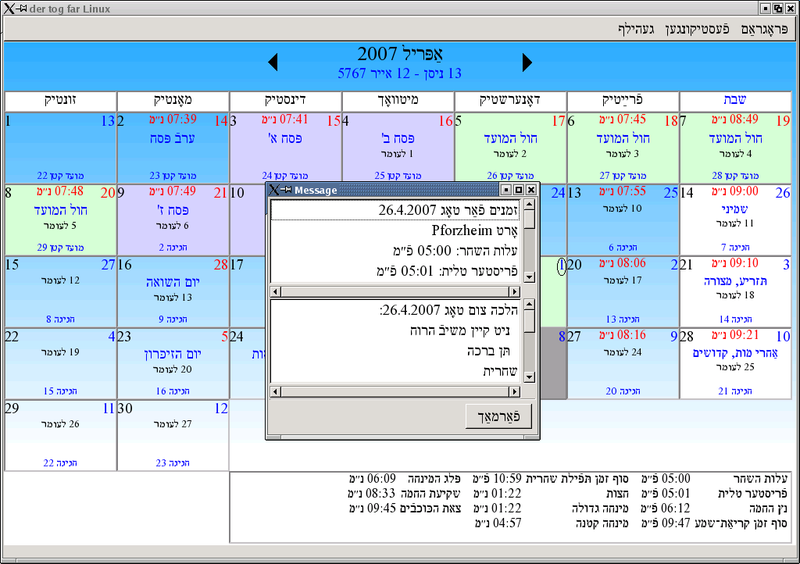 Der Tog Far is a Jewish desktop calendar for Linux. 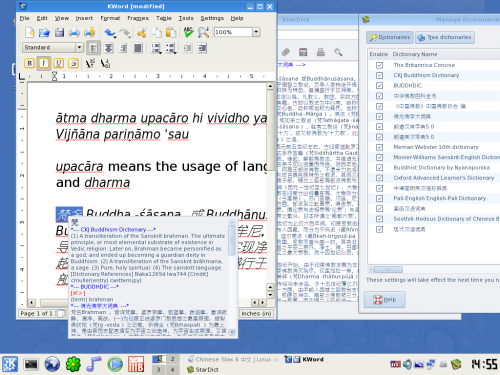 Buddhist Slax is a Linux Live-CD for studies of the Buddhist religion. Zekr is an open Quranic platform aimed to be the common tool to ease access to the Quran, the holy book of the religion of Islam. openBibleViewer is a no-cost,free programme for the work with the bible, It is based on Qt4.5 and consequently availabe for Windows, Linux, MacOS X.
Maitreya is a free software for Vedic and western astrology. openlp.org is free church presentation software for Linux, used to display slides of songs, Bible verses, videos, images, and even presentations for church worship.